“The sky is falling! The sky is falling!” cries Chicken Little in the ever-popular folk tale where an acorn hits Chicken Little on the head. She instills her fear in the minds of her friends as they race to tell the king. Most versions of this tale end with the worried fowl running straight into Foxy Loxy’s den, never to emerge. 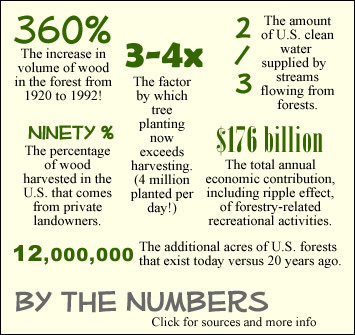 70% of US forests are privately owned, and 90% of the wood harvested in the US is from these private forests. It’s in the planet’s best interest to keep that land as forests for all the environmental benefits they provide, but if America’s private landowners can’t make money as tree farmers, many will sell the land for development or remove the trees and use their land for pasture or crops. Trees draw carbon dioxide from the atmosphere as they grow, but forests left to decay release carbon back into the atmosphere. And, if a tree is turned into lumber, that carbon remains locked in the wood! As the above article makes clear, when wood products are made from managed forests, it's a win-win-win for consumer, environment, and forest. Plus, there are many uses where nothing can replace real wood for its sheer beauty! On the other hand, many of our products benefit from being made of synthetic materials due to less maintenance and hence, a lower cost of ownership over time. He knew doing so meant an end to frequent painting and periodic repair and replacement. And he also knew most visitors to his home would not know his new floors were not wood. It's really that good! You see, each synthetic material we sell must pass our "looks like, sounds like, feels like, cuts like real wood" test because we don't want plastic-looking "fake" wood products on our own homes, and assume you don't either! AZEK Porch Boards is a perfect example because it will last indefinitely, never needs painting, is impervious to insect and moisture damage, and looks like painted wood flooring, right down to the small crack between each pair of boards. 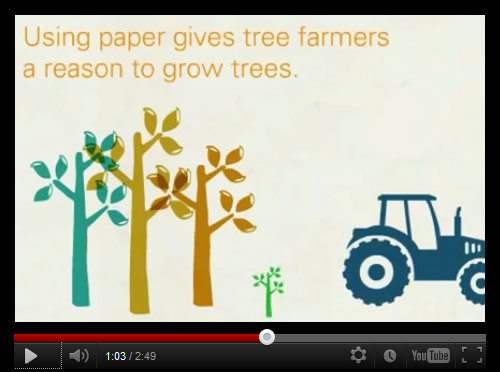 Not only that, but it's an environmentally "green" product! AZEK says, "Cellular PVC is the most energy efficient major plastic. Its principle raw material is chlo­rine derived from common salt, an abundant and inexpensive resource. Cellular PVC is comparatively low in energy and resource use during production, as well as in conversion to finished products. All scrap generated during the initial manufacturing pro­cess is recycled back into the finished product. Additionally, PVC can be recycled at the end of its long, useful life." ● Manufactured with post-consumer content, thereby reducing landfill requirements. As you might guess from the second article below, Holly and I are really enjoying our new AZEK Porch floor. In fact, just this past weekend we were discussing how nice it was to be working in the garden this year without feeling guilty that the porch floors needed repainting. It's even nicer to know we will never repaint them again... Ever! While I'm on this topic, I’d like you to remember what I forgot. This past summer, after replacing our wood porch floors with AZEK, we kept using our old door mats. Unfortunately, 2 were rubber-backed. We knew better! Our website warns, "Rubber- backed door mats, tarps, pool toys, and other non-porous items left on the deck for an extended period of time can transfer excessive heat to your Porch or Deck Boards and may cause discoloration of the surface." Oops... That's what happened! No damage, just discoloration in the area beneath the mat. Fortunately, only the mat on the back porch, exposed to direct afternoon sun, had a problem. But, since it was a small mat, it was easy to replace it with a larger, natural fiber one. So now you know... Do as we say, not as I did! 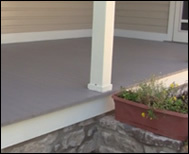 A New Hampshire customer used our synthetic products to create the lovely, super low- maintenance porch above. Email photos of our products in use for possible inclusion in a future newsletter or at our website! for $10 off your next order.